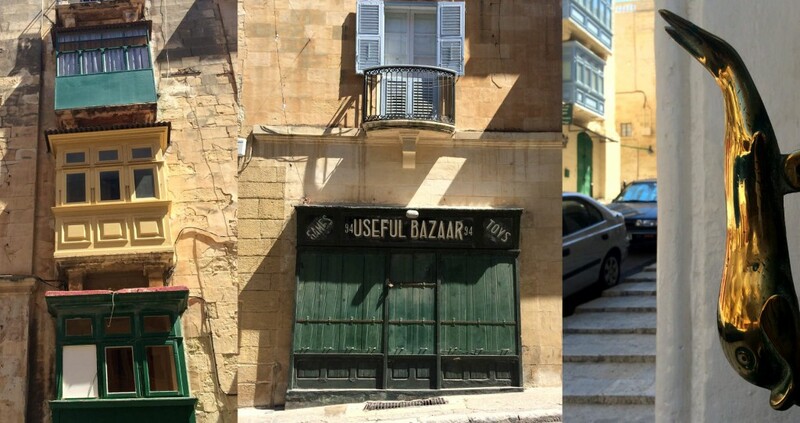 📅 📅 August 2014 August 30, 2018 by Bruno B.
I was already expecting it to Malta to have an original look and feel from any other place I’ve been before. I was not disappointed and now I officially can say La Valletta in Malta is Europe’s least European and most unique capital! When talking about Malta, everyone tends to praise the clear turquoise of the Blue Lagoon in Comino. But the island of Malta has a lot more to offer and its capital La Valetta is a great example of everything this place is capable of. La Valletta in Malta is the tiniest capital of the European Union, having a population of only about 6.000 (!). 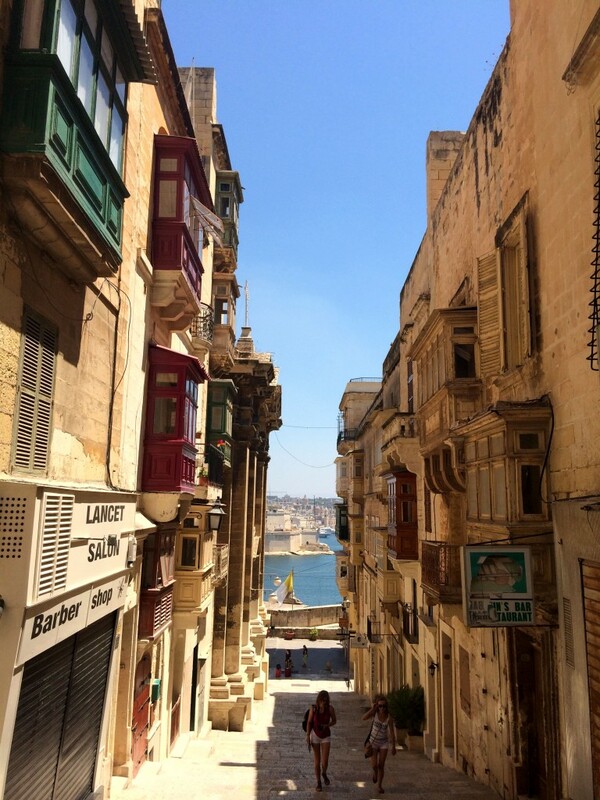 Despite its size, Valletta has been in the middle of a mash of ancient Mediterranean civilizations, it was only natural to think these rich influences would be reflected in the food, architecture and people of its capital. Malta’s capital is probably the less european of them all. 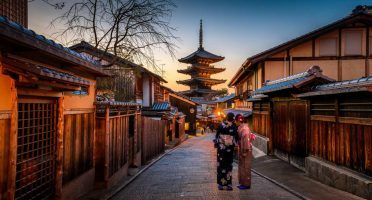 Not surprisingly, it has an impressive concentration of 300+ monuments and historical sites which are preserved almost entirely its original features. And no wonder Valletta it is one of Malta’s three UNESCO World Heritage Sites. The city of Valletta is located in the eastern part of the island, spreading itself over a small peninsula flanked by 2 harbours. The distance to the main airport of the island, Luqa, is around 9km. We arrived at La Valletta at the Triton Fountain Square, the largest bus terminal in Malta. Coming straight from four relaxing days in the beachy idilic north of the island, I was already not used to see people hurrying themselves. However, the minute I entered the city gates, I knew I was in the presence of another of Malta’s contrasts. While the city can have a busy lifestyle, it still retains a timeless atmosphere coming from its prosperous past: the island of Malta has suffered influence of Phoenicians, Greeks, Romans, Byzantines, Arabs and the Order of the Knights of St John, who founded the city of Valletta. Charmingly, it seems to insist on living up to this vast heritage. 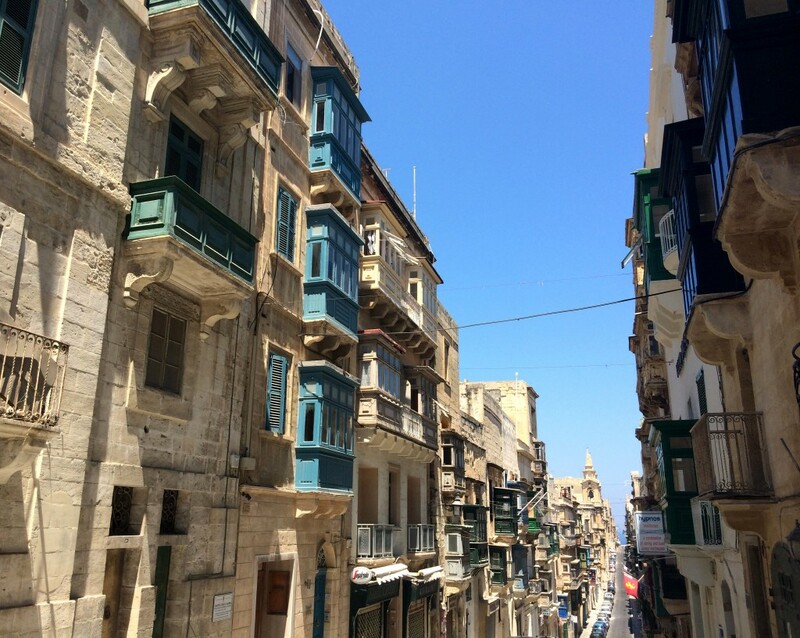 It still lingers in my memory the moment I was facing Valletta for the first time after entering the gates and foresaw a meticulous grid of narrow streets, boasting with palaces, fountains, churches and quaint cafés right in front of me. All in a small peninsula of a small island. Quite remarkable. Yet, what is more striking to the eye in Valletta are the exquisite architecture details, quite different from the rest of the island. The painted balconies. The door handles. The coat of arms in the walls. It all takes you to a place much that seems much more far away than Europe. La Valletta from ground floor. It was strangely quiet. No cars, no crowds, just us on the streets. 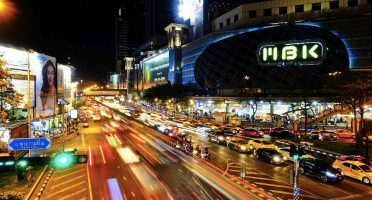 It was Sunday afternoon and the tourist crowds we encountered around the entry gate seemed to have dispersed through the city urban grid. Or they were just too lazy to climb the steep streets under the hot July sun. I just heard Maltese all around which REALLY sounds like Arabic! Besides, there was a ton of cats around. How much more cool can this place be? 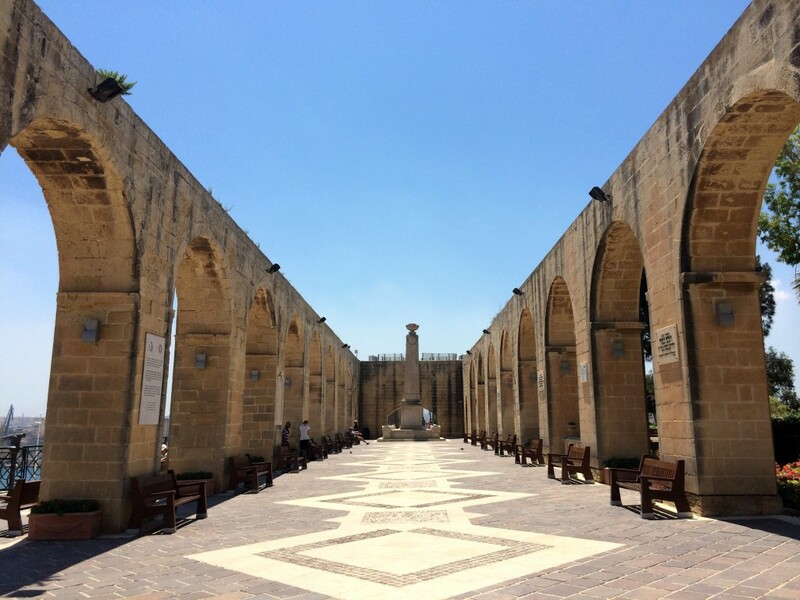 One spot that cleary exceeded my expectations and that I have to define as not to be missed in Valetta are the Upper Barakka Gardens, in the southern end of the peninsula. 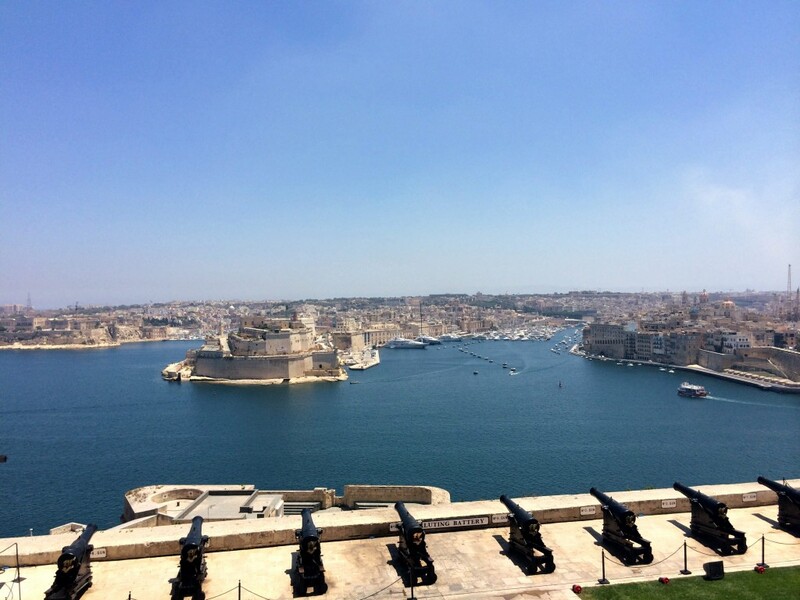 From this privileged vantage point, one has stunning views of the Grand Harbour and the Three Cities (Vittoriosa, Senglea and Cospicua), cities enclosed by a massive line of fortification created by the Knights of St. John. I really wish I had the time to explore those cities, but it would consume too much of our time. Options, options, options. The Saluting Battery, where passage of time is marked daily with cannon fire at noon (12H00) and sunset (16H00). After almost a full-day of exploring this little treasure-city, we got the ferry back to Sliema, the lively shopping town where we stayed during our time in southern Malta. I highly recommend making his journey at least one-way, as it only takes 10 minutes and you get to experience another perspective of Valletta’s cityscape. 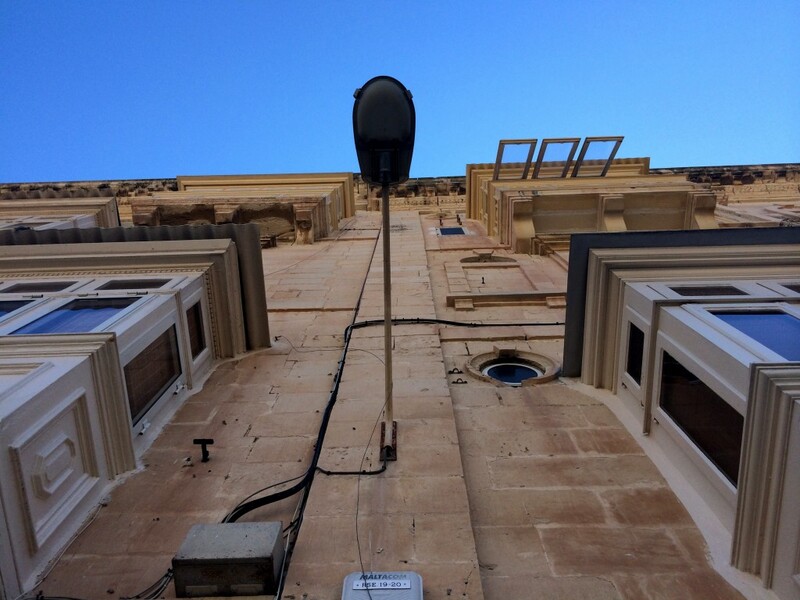 Valletta is really a city of details. To fully understand it, you need to dedicate some time to it and have a keen eye for the tiny elements around you. Otherwise, it will just be a missed opportunity to experience the most unique european capital. 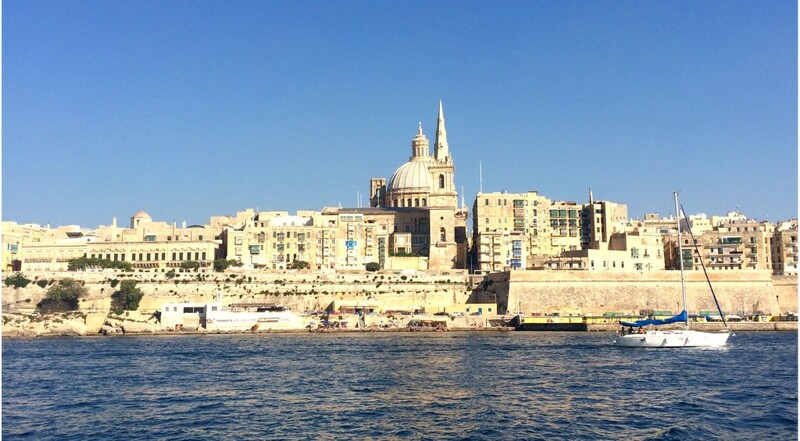 Even though there are ferry boats available, you’ll want to get to Malta by air. Malta Luqa airport is well connected to several european countries, specially Italy, Spain and the U.K.
Valletta or Mellieha are some interesting places to stay in the island. Avoid St Julians or Sliema unless you’re in Malta just for the booze. I’ve pre-selected the best hotels in Malta island for you to start your search. 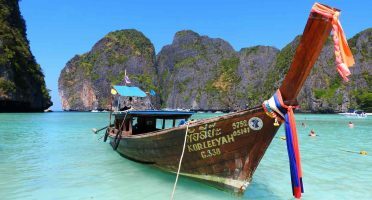 These are well-located, with WiFi and with good-to-excellent reviews, can’t go wrong! As for transportation, the decent network of buses is a great value-for-money option to get around in Malta. I feel that is safer than driving in the road madness of the island. 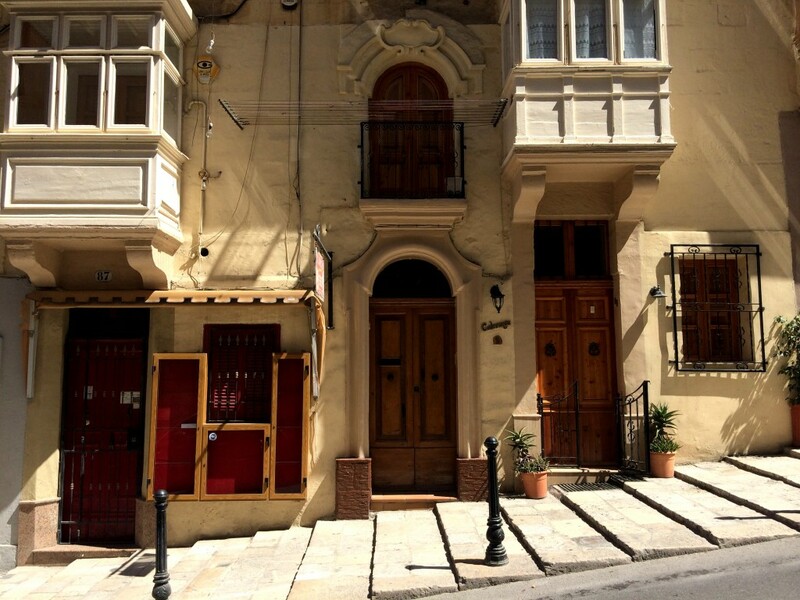 Find out more details in my All About Malta Island article. Mdina, the Silent City. The Blue Lagoon, despite the crowds and some jellyfish. And the views from the Grand Harbour from the Upper Barakka Gardens. Pastizzi. These palm-size layers of crispy pastry filled with either ricota cheese (the best ones) or pea (funny taste) are cheap street food and a very tasty snack! 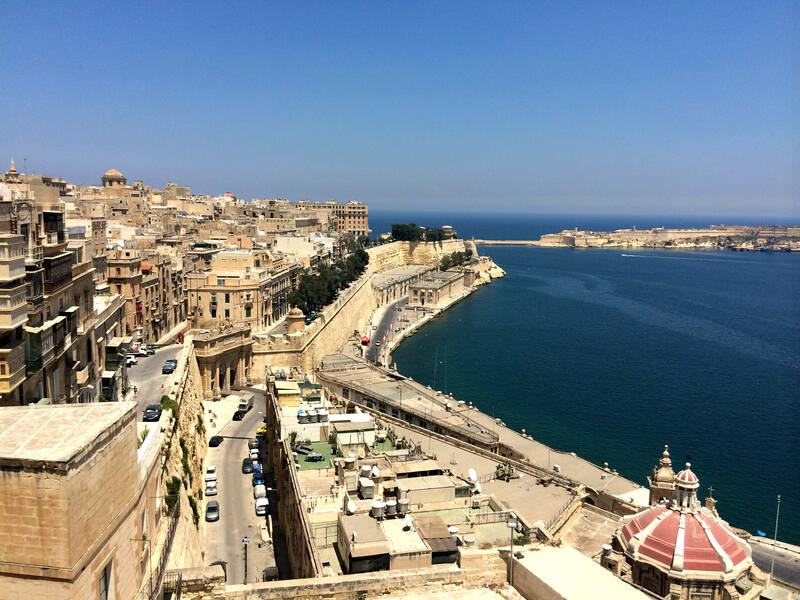 HAVE YOU BEEN TO LA VALLETTA? The other fortifications (birgu, isla, etc) and mdina, are heavily influenced by a long history of different rules but not Valletta. The british phone boxes ended up there because colonial england occupied the island for a 100s years. 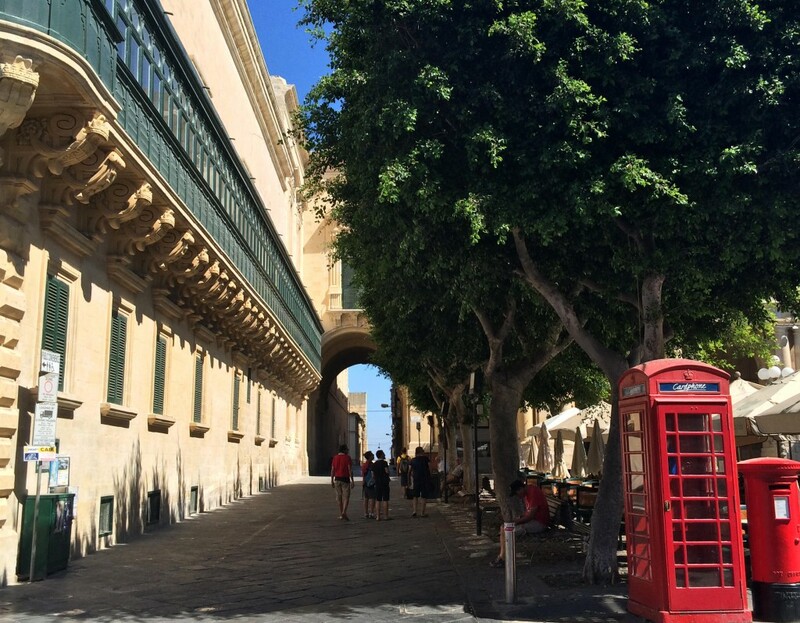 I knew about the phone boxes, but really thought Valletta had prior influence before being founded by the knights in the 16th century. I’ve now rephrased that paragraph. Next time I recommend living the city by actually staying in Valletta. You’ll love it. You can make sure I’ll be doing it! Although Mellieha was actually nice, Sliema was a bit too touristy for me. That is my favorite part of Malta. We go to the Upper Barrakka Gardens as often as we can. It is quite the site. We moved from the island 3 days ago. I will miss Valletta. It’s so peaceful up there! Make sure you come back one day, I will! Never been but I just love the look of those streets! Beautiful! Small city with a lot to explore Sara!